no tools, no study, no labor, only me? dear sir, i have finished the task you gave me, now what am i to do? and the sage did not even open his eyes and said, no -- tear it down now ..
Milarepa was floored and said, what? to be seen then as a blessing for all that came near him..
Namaste, thank you for this. Always love reading these stories with great pointings. Om. 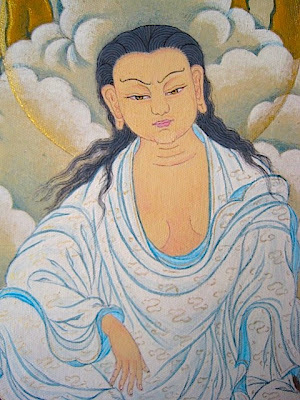 Thank you distilling out that it was Milarepa's devotion to Guru and his steadfast efforts that made him a great yogi. I had seen a movie of Milarepa acted out by Buddhist monks. I felt as if this blog post expressed clearly what Milarepa would have felt through his journey. Thank you for this beautiful piece. Great Post about an inspirational teacher, thank you !! in the center of the wheel..
have you gotten tired yet?